Experience the new dance fitness sensation with husband and wife team Billy Blanks Jr. and Sharon Catherine Blanks. They will take you through three complete dance routines. Featuring Hip Hop, Hip Hop- Samba, and Hip Hop Bollywood. 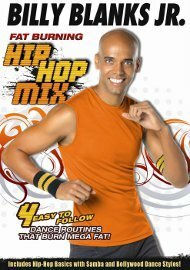 Then mix it up with all three styles for a high energy dance challenge that kicks calories to the curb. This is the dance workout you've been waiting for. This workout is specifically designed for all ages, shapes and sizes. As seen on ABC's hit show Shark Tank! Cardioke by Billy Blanks Jr.